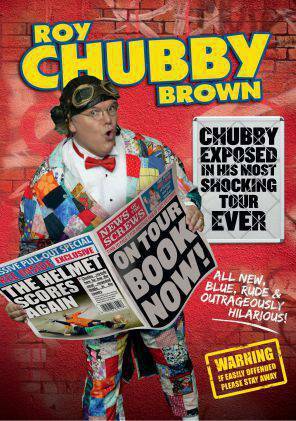 Roy Chubby Brown returns with his bluest show yet! He?s still rude, he?s still crude and this time he?s turning headlines into punch lines as his rip-roaring brand of banter continues to burst bellies across the country. Chubby doesn?t hold back from sharing his outlandish views on news, women and gender, sailing so close to the mark, even the most seasoned of fans will be left gob-smacked! As politically incorrect as ever ?The World?s Most Outrageous Comedian? is far too rude for TV, so this live performance is the only place to catch the flamboyant comedian!